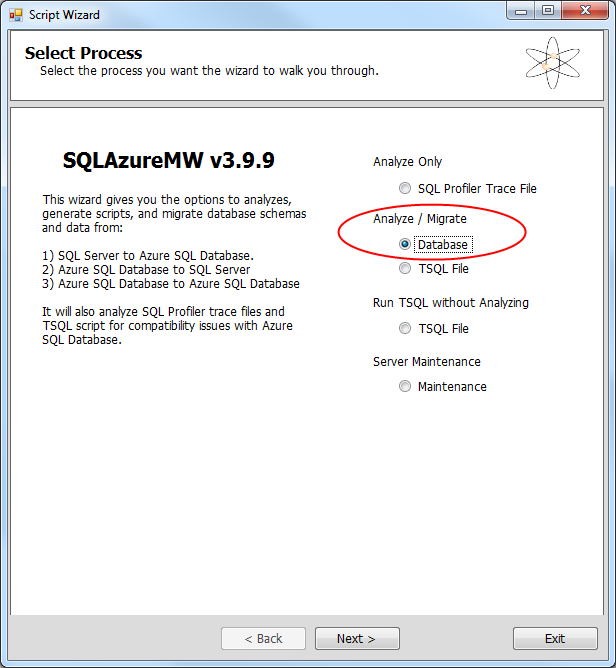 This document shows how to use the SQL to Azure Migration Wizard. 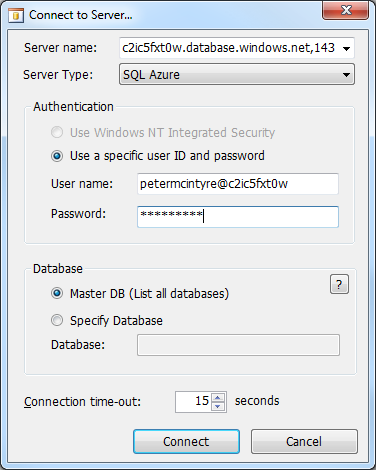 The wizard enables you to copy a database from SQL Server to Windows Azure. This document was prepared for the Fall 2012 version of the Web Services course. Its usefulness may not extend beyond that specific course. 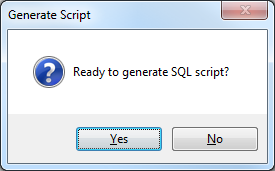 You can download the zip package (version 3.x, for SQL Server 2008) to a folder on your desktop if you wish. Then, un-zip the package into a folder. 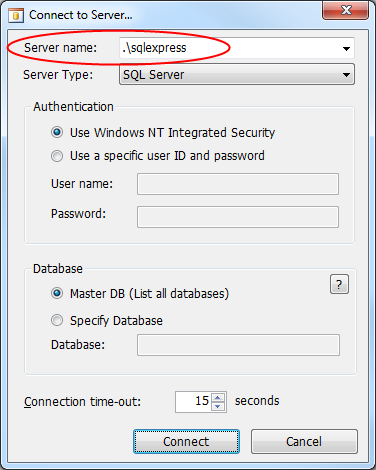 This scenario assumes that your web service app uses a database on your computer’s SQL Server Express instance. It also assumes that your app is complete, works well, and is ready to deploy. On the next screen, all of your local computer’s databases are shown in a list. Select/highlight the “source” database, and click the “Next >” button. The wizard will run, and should report “Done!”. Click the “Next >” button. 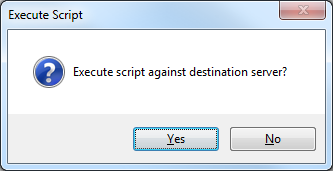 Next, you will see a list of destination databases. Click to select one, and then click “Next >”. 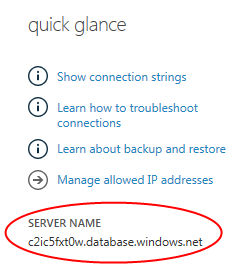 Your data will be copied to your Windows Azure database.